My boys are way past the age of noisy games & little things you can step on and break a body part. Now they just want gaming systems & the very expensive games to go with them. Good thing they have jobs! Oh I've missed you Giselle. I remember looking through the Target shelves last year in the hope of the right Bieber doll for you. I was already there, why not. :) These cookies are great! They capture the game perfectly. I'd rather eat marbles than trip on them. Good call! 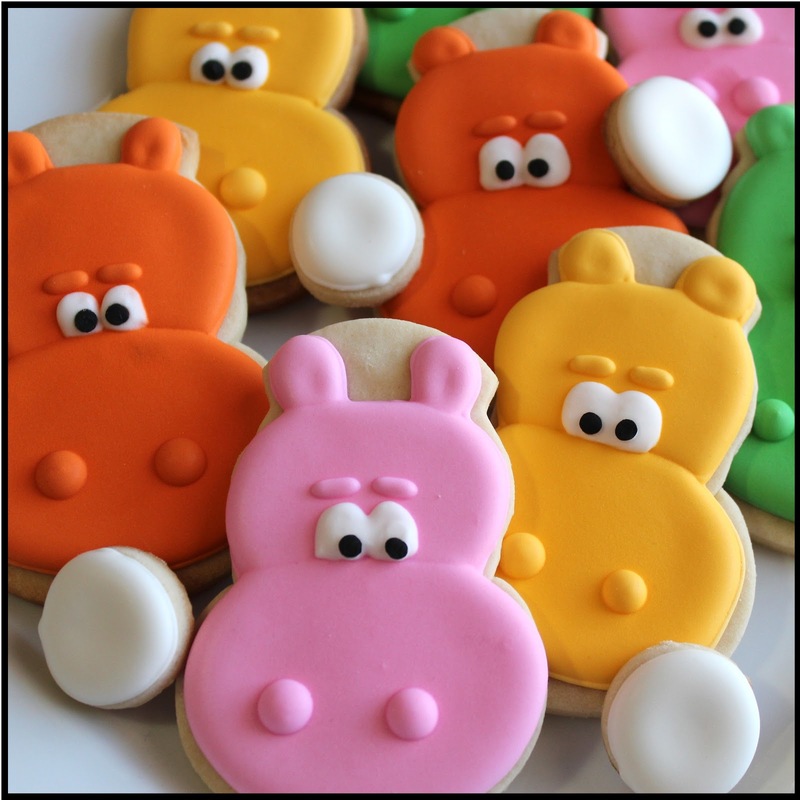 Hi Giselle - thanks for the inspiration for the hungry hippos! 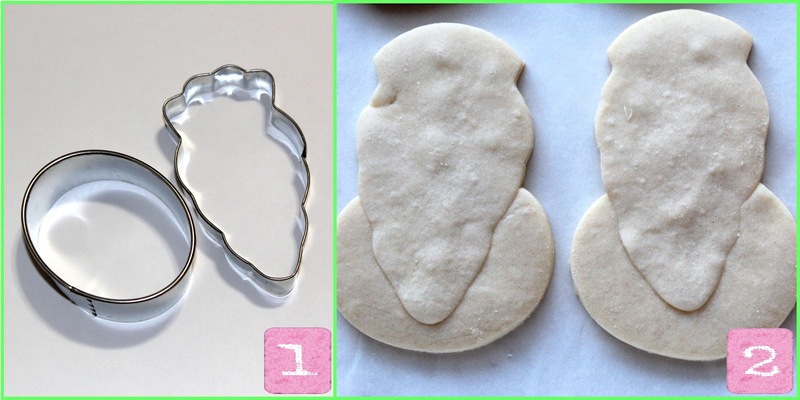 As I didn't have a carrot cutter I looked through what I did have and worked out that a Snowman cutter works fantastically and better yet there is no piecing together cookies! 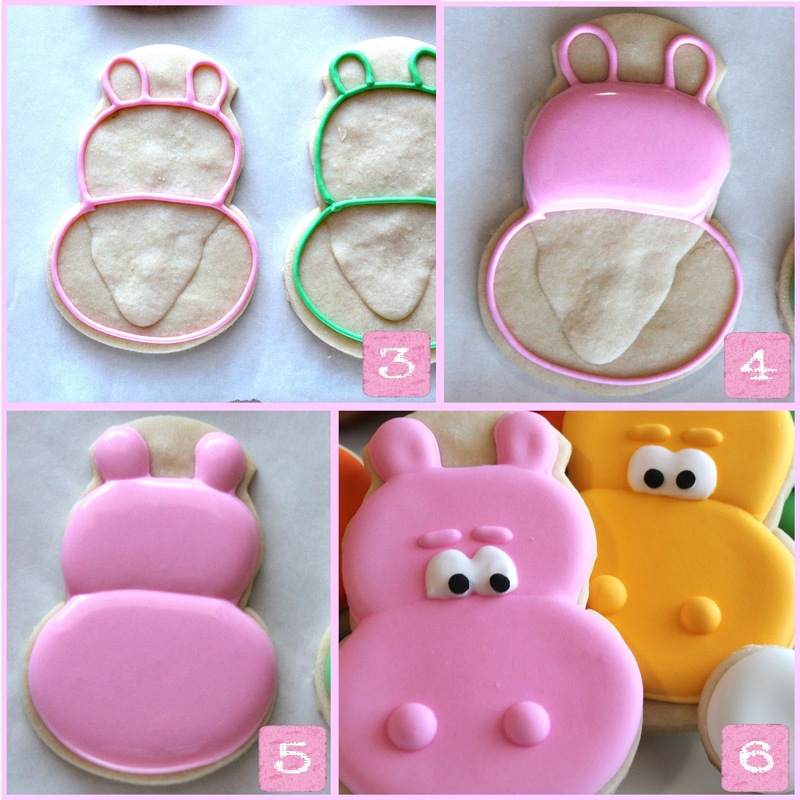 All you have to do is trim 2/3 off the snowman's head where the hippos ears will go - easy! Hi, i was just wondering what kind of frosting you used? Thanks for the guide! 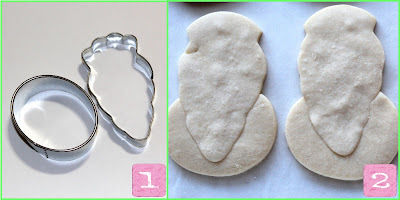 I think I'll try these with a snowman cutter with the top trimmed off a bit. I think it'll work. Yours are so cute!! !